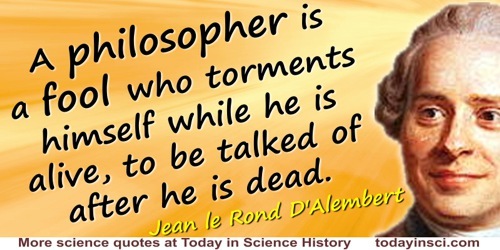 A philosopher is a fool who torments himself while he is alive, to be talked of after he is dead. As translated, without citation, in Familiar Short Sayings of Great Men: With Historical and Explanatory Notes (1887), 6. Ardent desire for knowledge, in fact, is the one motive attracting and supporting investigators in their efforts; and just this knowledge, really grasped and yet always flying before them, becomes at once their sole torment and their sole happiness. Those who do not know the torment of the unknown cannot have the joy of discovery which is certainly the liveliest that the mind of man can ever feel. From An Introduction to the Study of Experimental Medicine (1865), as translated by Henry Copley Greene (1957), 221-222. As to Science, she has never sought to ally herself to civil power. She has never attempted to throw odium or inflict social ruin on any human being. She has never subjected anyone to mental torment, physical torture, least of all to death, for the purpose of upholding or promoting her ideas. She presents herself unstained by cruelties and crimes. But in the Vatican—we have only to recall the Inquisition—the hands that are now raised in appeals to the Most Merciful are crimsoned. They have been steeped in blood! History of the Conflict between Religion and Science (1875), xi. I am convinced that an important stage of human thought will have been reached when the physiological and the psychological, the objective and the subjective, are actually united, when the tormenting conflicts or contradictions between my consciousness and my body will have been factually resolved or discarded. Physiology of the Higher Nervous Activity (1932), 93-4. Thou canst from gaol of dunghill fetch. I may not in this torment dwell. Lend me a halter or a knife! Naught so damned as melancholy. Nevertheless, his [Dostoyevsky’s] personality retained sadistic traits in plenty, which show themselves in his irritability, his love of tormenting, and his intolerance even towards people he loved, and which appear also in the way in which, as an author, he treats his readers. Thus in little things he was a sadist towards others, and in bigger things a sadist towards himself, in fact a masochist—that is to say the mildest, kindliest, most helpful person possible. Nothing will ever equal that moment of joyous excitement which filled my whole being when I felt myself flying away from the earth. It was not mere pleasure; it was perfect bliss. Escaped from the frightful torments of persecution and of calumny, I felt that I was answering all in rising above all. 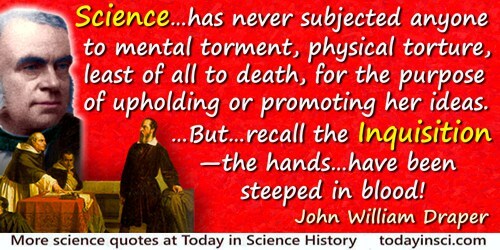 Science is dangerous. There is no question but that poison gas, genetic engineering, and nuclear weapons and power stations are terrifying. It may be that civilization is falling apart and the world we know is coming to an end. In that case, why no turn to religion and look forward to the Day of Judgment, ... [being] lifted into eternal bliss ... [and] watching the scoffers and disbelievers writhe forever in torment. The difficulty really is psychological and exists in the perpetual torment that results from your saying to yourself, “But how can it be like that?” which is a reflection of uncontrolled but utterly vain desire to see it in terms of something familiar. … If you will simply admit that maybe [Nature] does behave like this, you will find her a delightful, entrancing thing. Do not keep saying to yourself, if you can possible avoid it, "But how can it be like that?" because you will get 'down the drain', into a blind alley from which nobody has escaped. Nobody knows how it can be like that. 'Probability abd Uncertainty—the Quantum Mechanical View of Nature', the sixth of his Messenger Lectures (1964), Cornell University. Collected in The Character of Physical Law (1967), 129. The next object which I have observed is the essence or substance of the Milky Way. By the aid of a telescope anyone may behold this in a manner which so distinctly appeals to the senses that all the disputes which have tormented philosophers through so many ages are exploded at once by the irrefragable evidence of our eyes, and we are freed from wordy disputes upon this subject, for the Galaxy is nothing else but a mass of innumerable stars planted together in clusters. 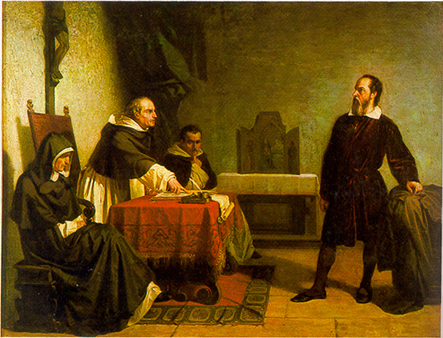 In pamphlet, The Sidereal Messenger (1610), reprinted in The Sidereal Messenger of Galileo Galilei: And a Part of the Preface to the Preface to Kepler's Dioptrics Containing the Original Account of Galileo's Astronomical Discoveries (1880), 42. There is nothing frightening about an eternal dreamless sleep. Surely it is better than eternal torment in Hell and eternal boredom in Heaven.